Fall in love with your walls this Valentine's Day! 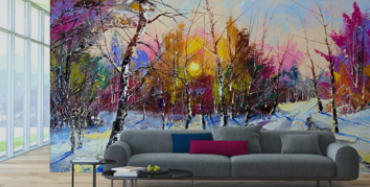 Most everyone appreciates flowers and chocolates on February 14, but you can really WOW the love of your life with the gift that keeps on giving - a WALLTAT Wall Decal! Be daring and choose a design and color you know they'll love, or play it safe and instantly print a Gift Certificate. Did we mention Wall Decal Installation a is a task built for two? That's right, we think creating collaborative works of art is both fun and romantic, especially since its so easy! You both can marvel at your DIY masterpiece and have the memories of your time spent together... forever. And don't worry, decals are removable so your decor can grow and evolve - just like your love. Give WALLTAT a special place in your heart and your home on this Heart Day 2014. Enjoy our fun collection of love themed designs that work year round, each available in 34 colors! Position this Love Bubbles WALLTAT of a girls silhouette at your wall edge or corner and then scatter those heart shaped bubbles into any layout your heart desires. 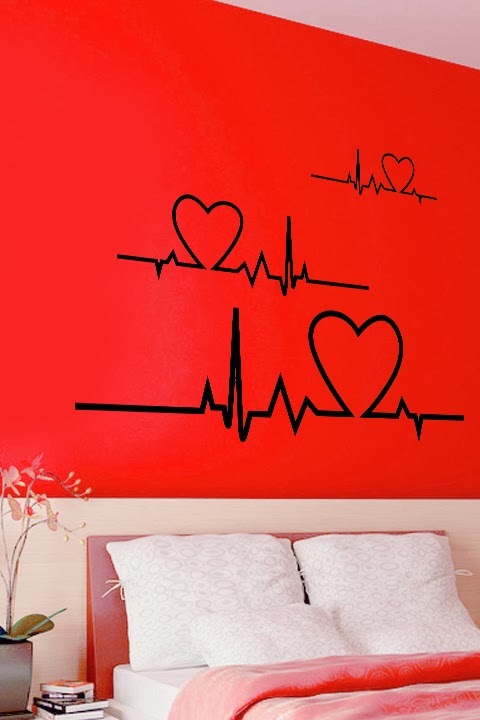 Heart Line WALLTAT is a flirty play on the vital signs that can be installed as shown, or in one continuous row like a room border. Let them know that your heart beats for love, and only love. 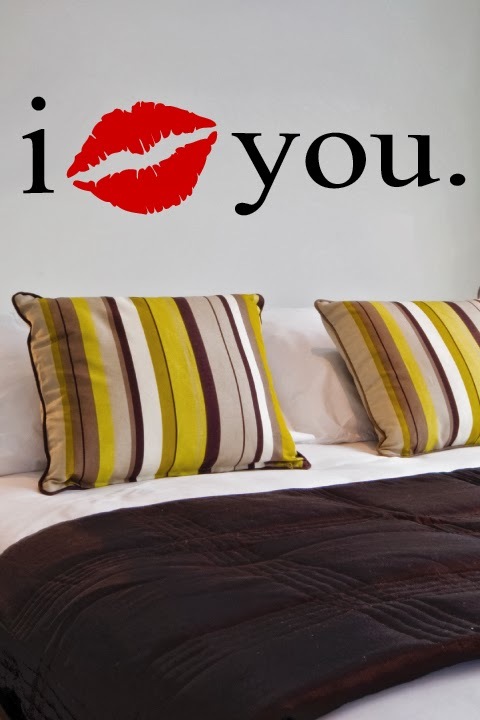 This old school typewriter font surrounds a heart shaped kiss to make up this I Love You Wall Decal design that tells it like it is. Watch you love grow. Lovely Flowers 2 Wall Decal sprouts up from the baseboards with its charming heart shaped flowers and butterfly. Positioning the adorable butterfly anywhere you would like! 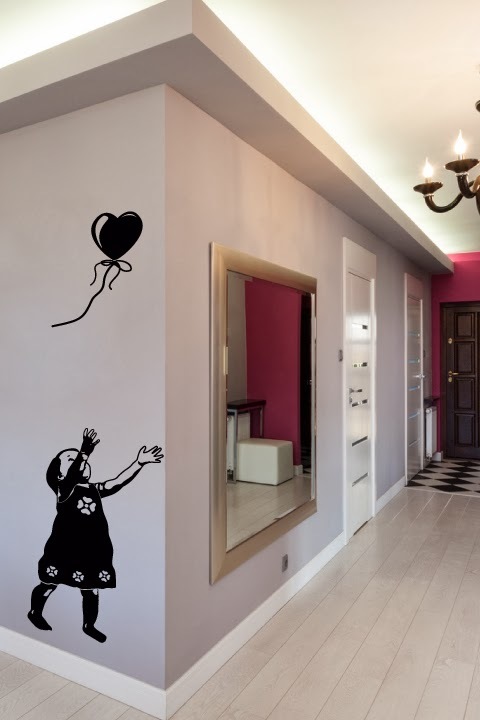 Balloon Hearts Wall Decal is both cute and edgy. This street art style design has pop culture flair and can be installed in kids rooms or offices, boutiques and design studios. Position the balloon as close or far away from the girl as desired. 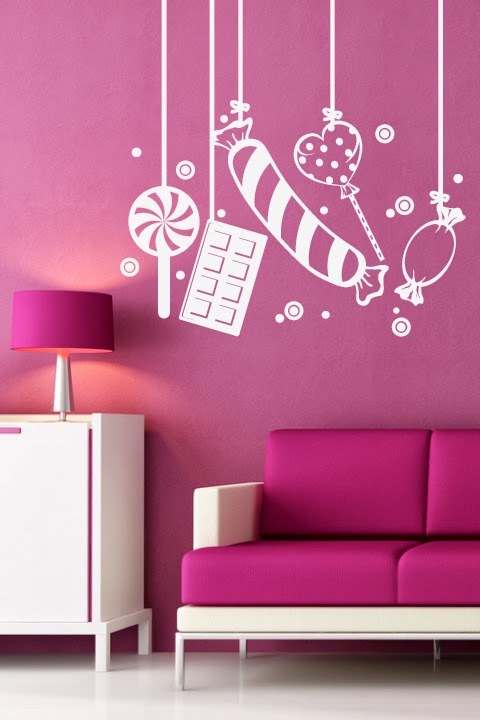 For the candy lover in all of us, this Balloon Candy Wall Decal collection of delights looks as if huge pieces of lollipops, chocolate bars and hard candy dangle from the ceiling. Great for decorating Valentine's Day parties, candy shops, kids rooms and grade schools.